Get your items today, pick them up from a local store. This item is currently in stock and ready to be dispatched. FREE UK delivery on orders over £9. Normally delivered in 2-4 working days. Next working day delivery option available at checkout. Full tracking is available through our couriers from the evening your item has been dispatched. You can pay securely during Checkout process using your payment card via Sage Pay secured payments system. Alternatively, when meeting set criteria, you can complete your order using our quick and easy finance option. If you’re interested in spreading out your purchase, please read more. Any incorrect or damaged goods must be reported within 5 days of receipt. These will be replaced as soon as possible at no expense to yourself. All unwanted items must be either returned at your own expense or taken into your local Angling Direct store. Bite alarms have long been a bankside staple for the committed carp angler. Not only do they allow you to fish through the night with the confidence that you’ll wake should you get a midnight take but they also enable you to judge a take with greater confidence, too. This is why you’ll find bite alarms are a key component of many anglers arsenals and you’ll struggle to find an angler on the bank who hasn’t got their rods hooked up to a bite alarm and bite indicator combination. 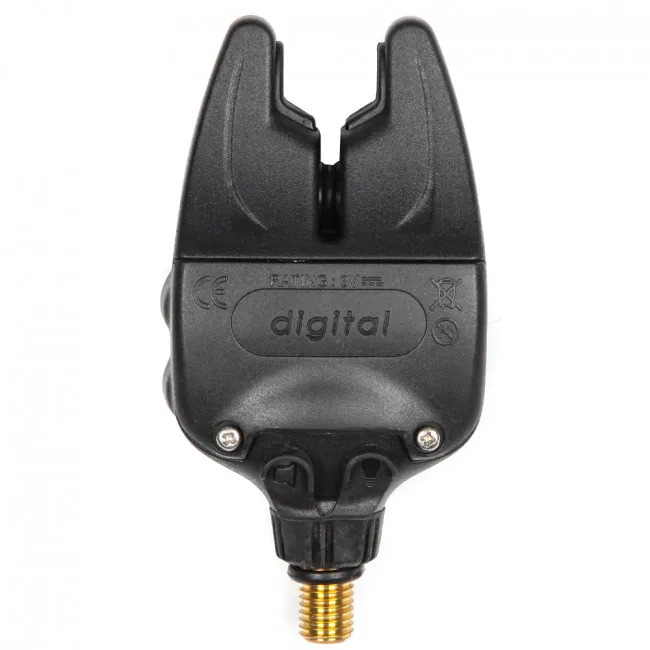 However, many modern bite alarms can be very expensive, especially if you’re an angler who likes to fish with a three rod setup and, as such, requires three bite alarms. 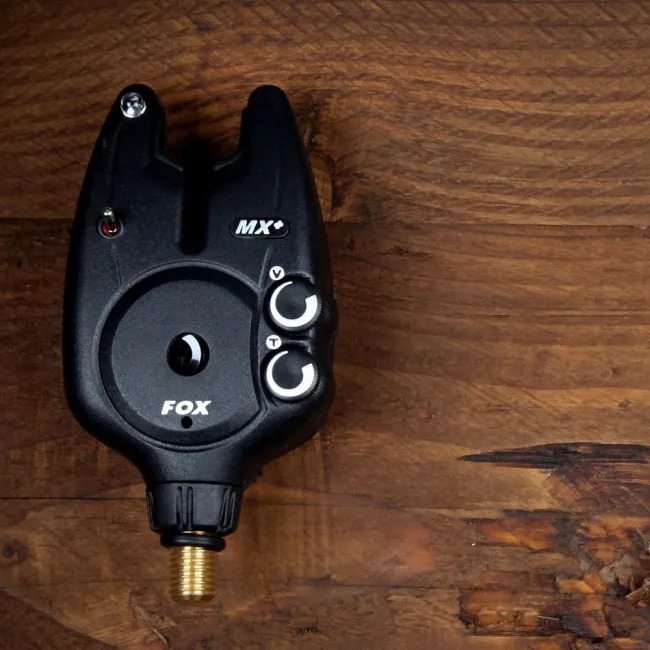 This is why, when the Fox team sat down to design the Fox brand bite alarm, one of the key considerations was the price of the alarm, along with the quality. This is why you’ll find that this bite alarm offers exceptional value for money, as well as a faultless performance on the bank. 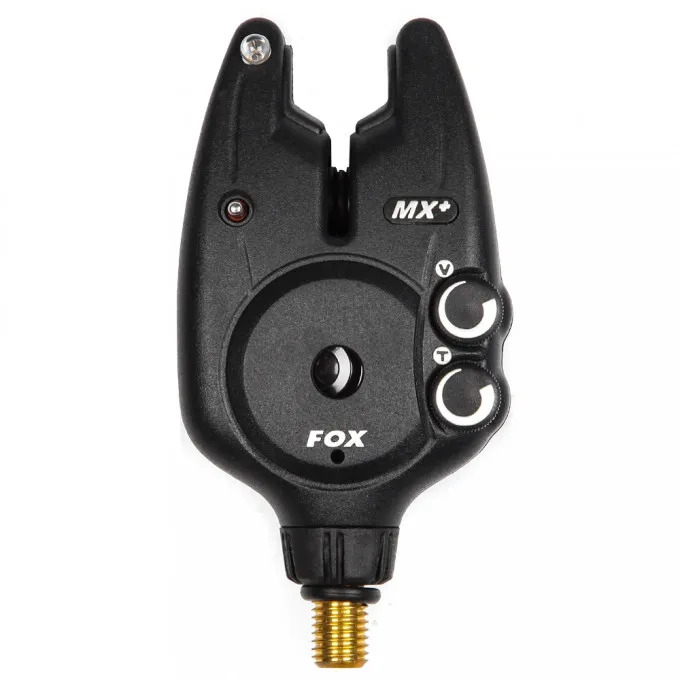 The Fox Micron MX+ Alarm has been modelled on the styling and design of the original Fox Micron. As such, it boasts many of the features that you will have enjoyed form the original and if you’ve been a proud Micron owner since day one then you’ll already know your way around many of the elements of this alarm. 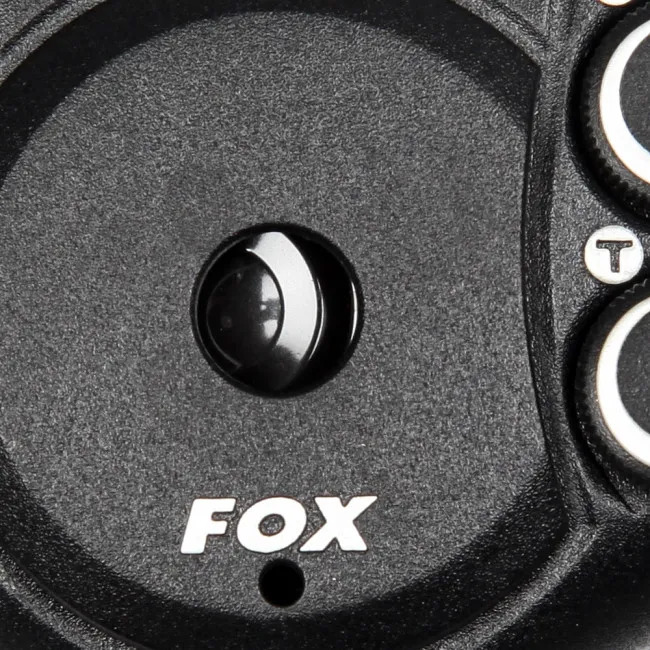 However, there are a number of key improvements the Fox has made to ensure this alarm outperforms anything they have released to this date. 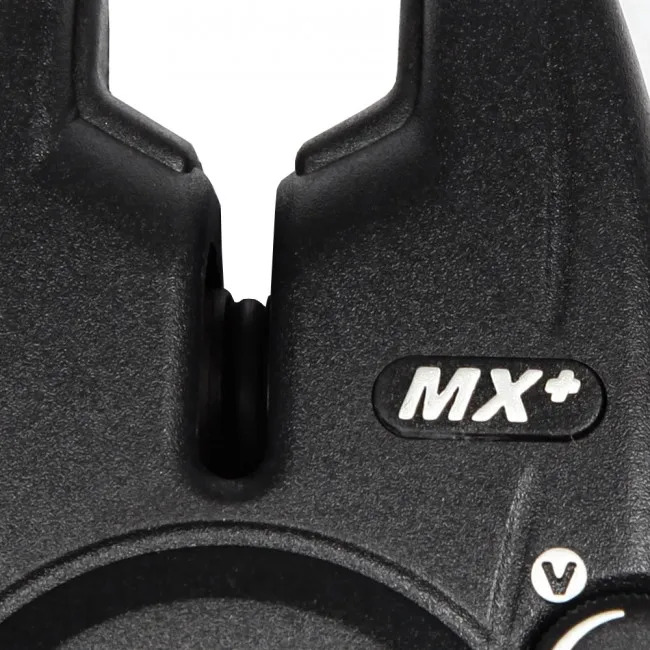 The thing you’ll notice is that the Micron MX+ Alarm has the same cone speaker as the original alarm. This gives a crisp and clear sound, which is easily identifiable on the bank. A raised 5mm front LED, in blue rather than the traditional red, provides clear visual indication of a take, too, should you have the alarm set to silent. 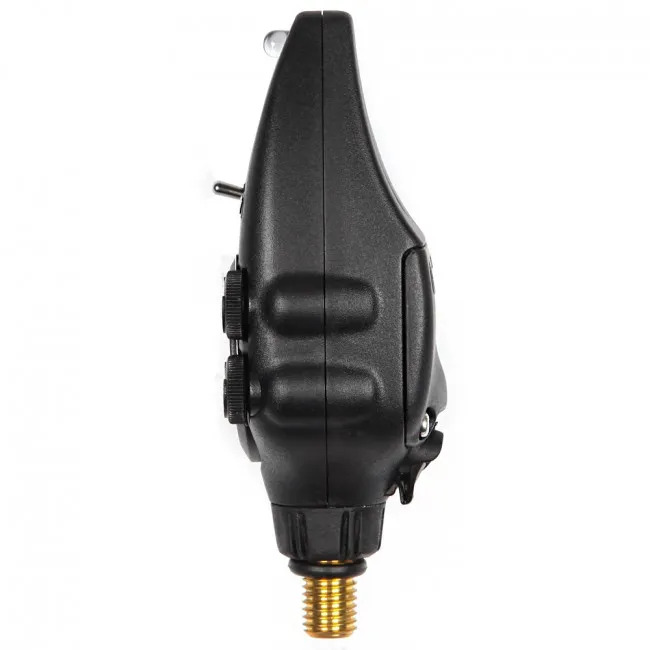 Front rotational knobs allow for the quick and easy adjustment of tone and volume, enabling you to manipulate your alarm not only to your own personal preferences but also to the needs of the bank. Rubber ear inlays prevent slippage, too. As you can see, there is much that you will recognise from the original MX alarm. Like the saying goes, if it’s not broken, don’t fix it! 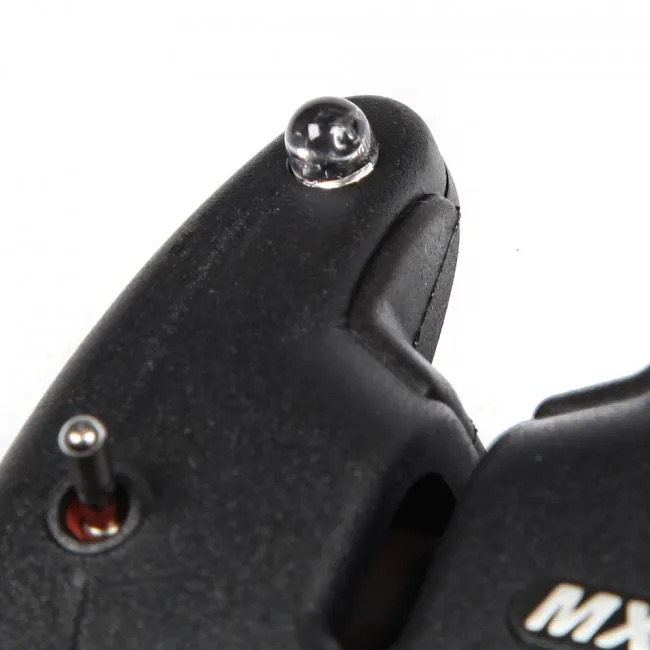 However, the brand new MX+ alarm also features adjustable two stage sensitivity, which really elevates it above its predecessor –especially if you’re an angler who likes to fish a variety of waters in a variety of different conditions. This development allows you to be in full control of your alarm. On a windy day or on a river with a stronger current, you may wish to have your alarm on a less sensitive setting than a clear calm day in still waters. The Micron MX+ also has enhanced electronics to maximise the battery life of the alarm, so you’re not let down on the bank when you need your alarm the most. Unlike other alarms, it is powered by two AAA batteries. This means that, when you do need to change them, you can simply pop down to your local shop rather than having to scout around for awkward battery sizes and shapes. 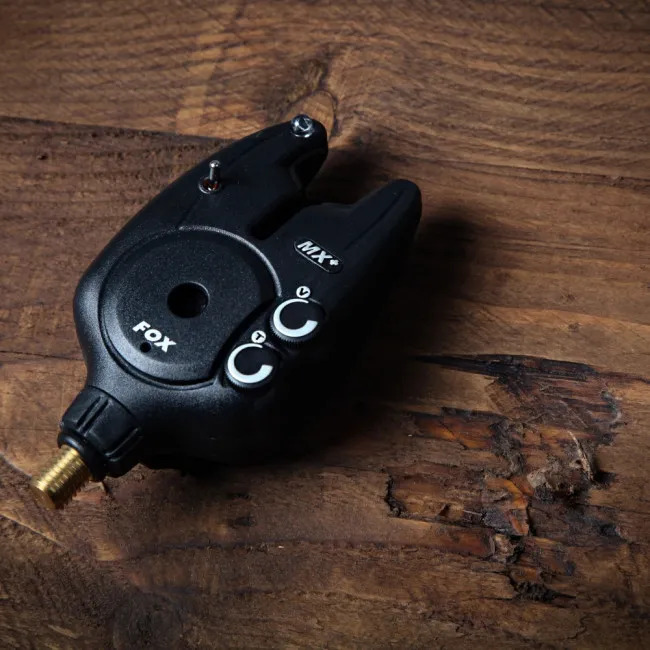 With one power and one transmitter output, it is fully compatible with the TX-R Micro Transmitter. 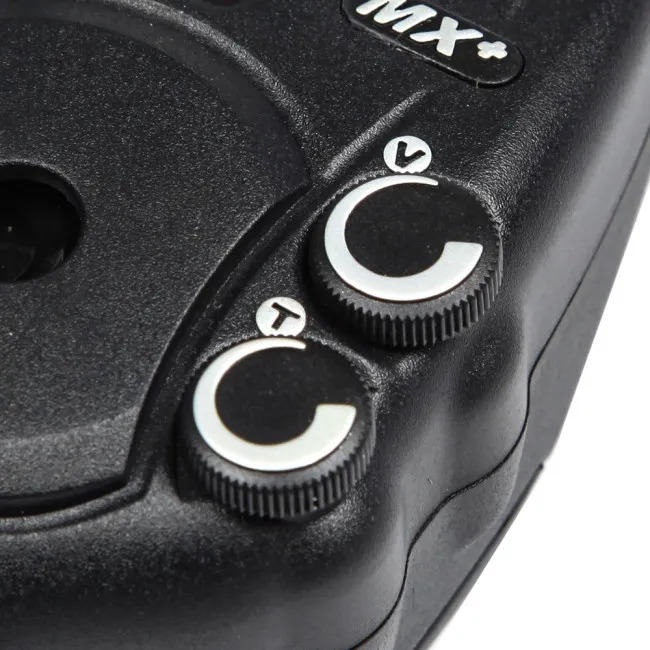 The Micron MX+ comes with its own hard case to keep the alarm protected in transit and storage. 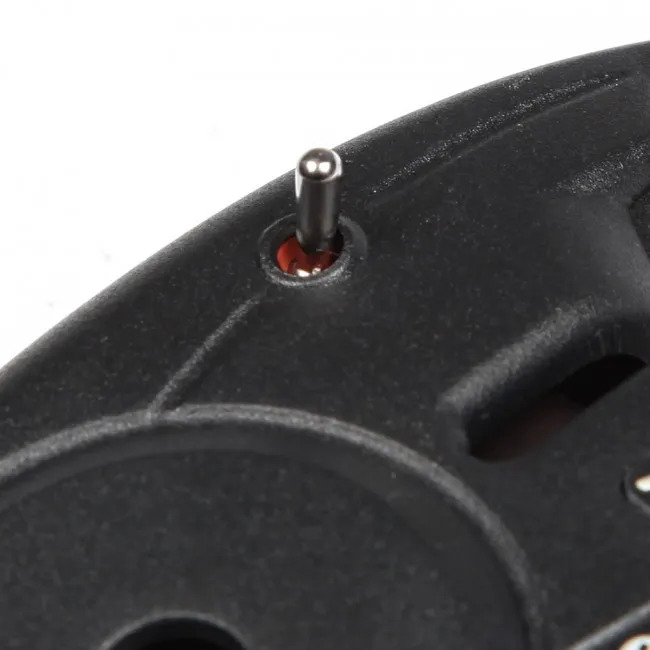 The brass threaded stud on the base of the alarm is not only hard wearing and heavy duty but it is also compatible with many bank sticks, too, allowing for easy and convenient setup. 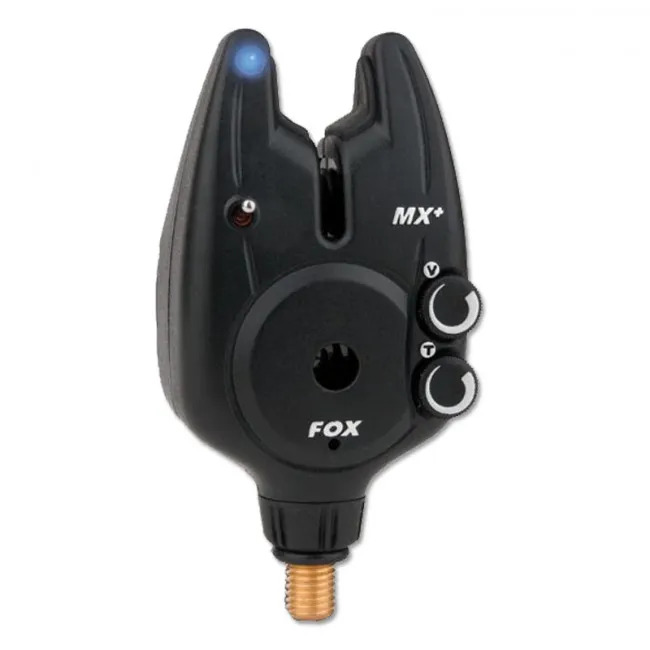 The Fox Micron MX+ Alarm is the ultimate all-rounder at an unbeatable price point – perfect for the novice and experienced angler alike. Very pleased with this alarm does a good job for the price with plenty of adjustment for various fishing circumstances. I have bought quite a few bite alarms, and found most of them suffer from short battery life. I have found that not only do the mx+ have a good battery life they also run on 2 aaa batteries which i buy in poundland £1 for 12 so they are cheap to run even if they didn't last. also easy to get hold of. They are very loud and can also be very quiet, i was using them the other day on a low tone low volume setting even though i could here them my mate in the next swim couldn't. the speakers are crystal clear and the dials are easy to use. there is a good range of tone. they are sensitive yet not twitchy. one of the features i like is the hard case that just clips on the front. First time I've fished with the assistance of a bite alarm. I was pleasantly impressed. It's neat and responsive. Setup... straight out of the box, add batteries and you're ready to go. Nice piece of kit. Haven't tried them yet - not field tested but everything seems ok.
For the price this alarm is top quality. What more can do you need. A very good quality and reliable product. Had the former models and just needed a new one for special occasions. Purchased as a birthday present for my husband. He was pleased when he used it, said it worked well and was a great help. Great alarms nice an compact indicate runs real well,they have good volume an tone control good solid fox alarms should last for years. 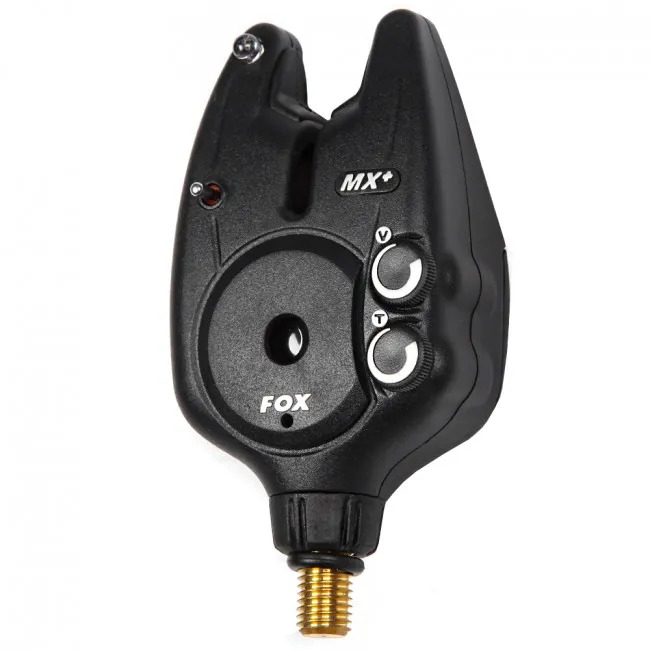 Fox MX+ for this price i mean is the best from the rest !!! very fast delivery and the best alarm on the market. Very happy with the alarm. can not tell you any more as I have not used it yet. Works excellent already own 2 others. I'm not the fisherman! I bought these as part of my son's 50th birthday present as he was very keen to have them, and I haven't given them to him yet! Have used these for the past four years and never had a problem with them. Completely reliable come rain or shine. Alarm is simple and does what it needs to. Very good tone selection and volume range. On/off toggle switch is again a simple thing and a nice touch. Very good product. Well pleased. Very good product. For the cost of it you really can't go wrong! I had one of these previously and needed this to make up my rig. Best price around. Have one already, so guess that says it all. Very good quality product, works well. Great quality product at a reasonable price. Usual high quality from a well known brand. doesnt work properly. I hve another that works fine so will be returning this one. Excelent online service, but I prefer to walk in to one of the Angling Direct stores in waltham cross. Chaps overthere are very helpfull.